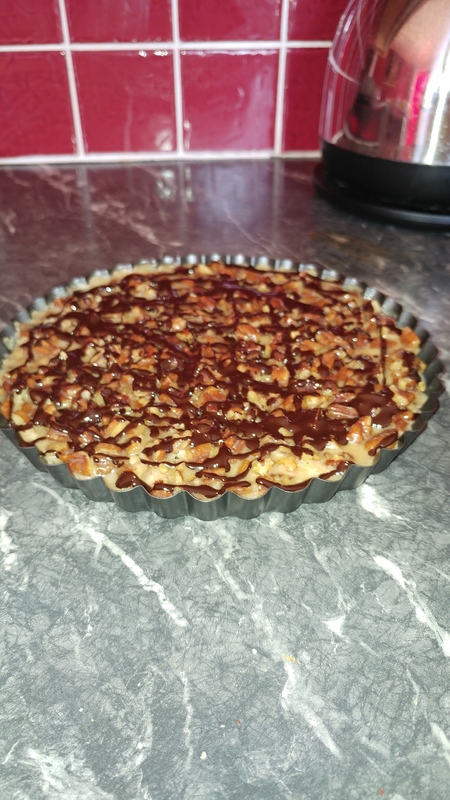 Here’s my pecan can be maple too tart recipe! Mix together and flatten out into a pan. Bake in the oven for 10-15 mins until light brown 180°C (375* F). Heat a pan, melt the butter and add the Truvia. When it starts to bubble throw in the pecans. Stirring continually. *optional - for maple add 1tsp of maple extract and 1/8 cup of zero calorie maple syrup. Pour the filling into the base and leave to set in the fridge. *optional - melt 2 squares of dark choc and drizzle over the stop and leave to set. What did you Keto today? If I made this I would stuff my face till it was all gone. My stop button is broken. Glad you can enjoy it. Haha, its so filling a small slice does the trick! could you please add the nutritional info as well? Take butter, Erithytol,pecans and melt in some lillys. Make that about once a week. I can’t believe it’s ketogenic! most all of my bookmarks are Brenda’s awesome recipes!! i really want to try this. I don’t have a pan like this at all. Do they make these in disposable versions? And you could use any shallow baking pan the size of a small pie tin. Even a disposable one. yep, thanks for correcting me!! I scrolled up and saw that. Thank you @Kimmy for posting this. 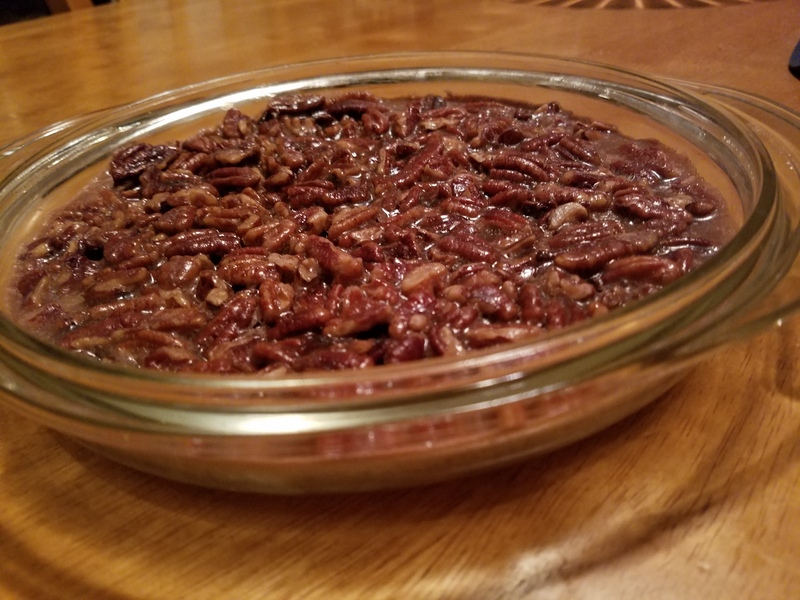 I love pecans too, so need to make this one day. How do people come up with these recipes?? I’ve never been a cook, but I’m amazed at what people put together. One sure NSV for me is that I’m now “cooking” for myself!! Some of us just seem to enjoy creating delicious food. Others can’t be bothered to do anything beyond opening a box or a can and stuffing it in the microwave. I believe in eating delicious food. For me, it’s a waste of my time and effort to make something “so-so”. Where my sister only buys veggies that are already cut and washed for her, I prefer to buy the freshest, whole veggies, including actual whole heads of lettuce, versus the bagged garbage. Food is important to me. I guess that makes me a “foodie”. I made this last night. Note: I didn’t use any sweetener in the crust and it was amazing. I added coconut oil to the filling for some added fat. Glad you liked it! Good call in the coconut oil!! 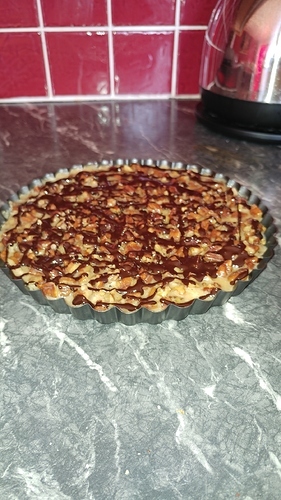 I made your tart. It was FANFUCKING TASTIC!!! More sweet than I needed though. I made it for a dinner party at the 2KetoDudes party house here in Breck on Friday, and used 1/4 less. Still very sweet BUT everybody still loved it. Today I will make it one more time for the last 2KetoDudes party house dinner. I plan to HALVE the sweetener from your original recipe. @carl (Carl Franklin) wants to give this recipe on a podcast soon. He may already have (he recorded two new ones this weekend). Credit will be given to you. We are wowed by your recipe!!! I made it last night and didn’t have enough crust for the pan I used. I guess that means I should have made it thinner (because there didn’t seem to be a shortage of the pecan mixture). Also, the crust really fell apart on me. 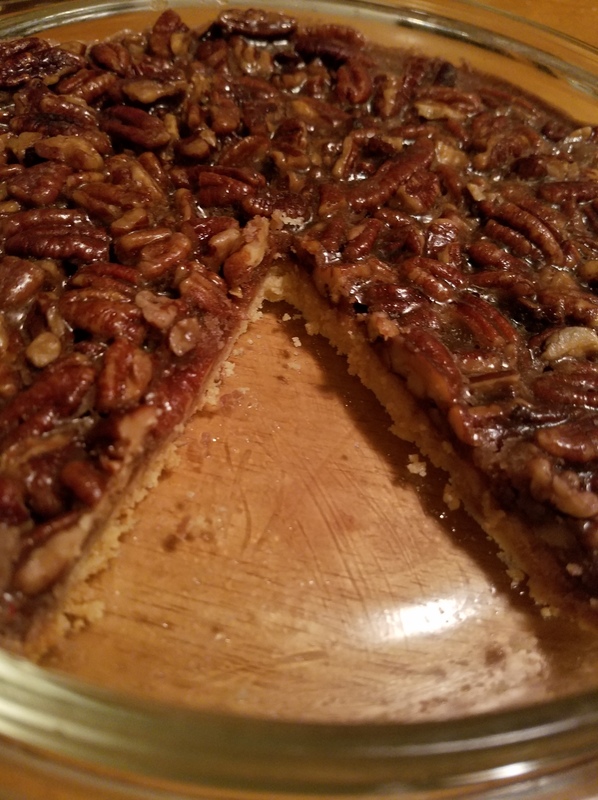 My intuition says having a thinner crust wouldn’t help that problem, but my intuition has been wrong before… Thanks for the recipe! 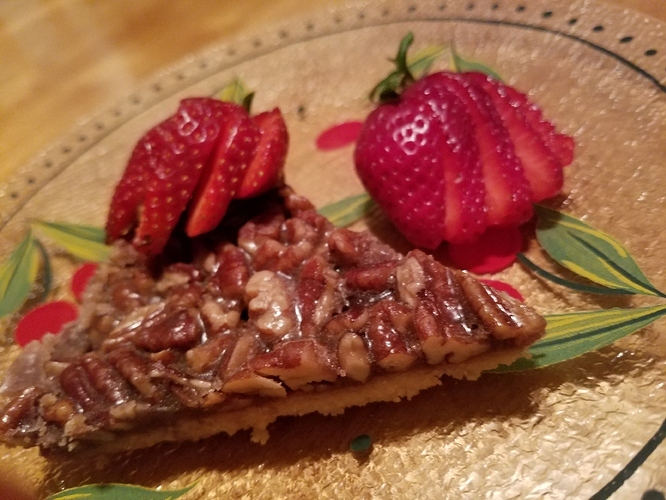 I was thinking these could be done in mini tart/muffin pans to be little two bite pecan tarts.